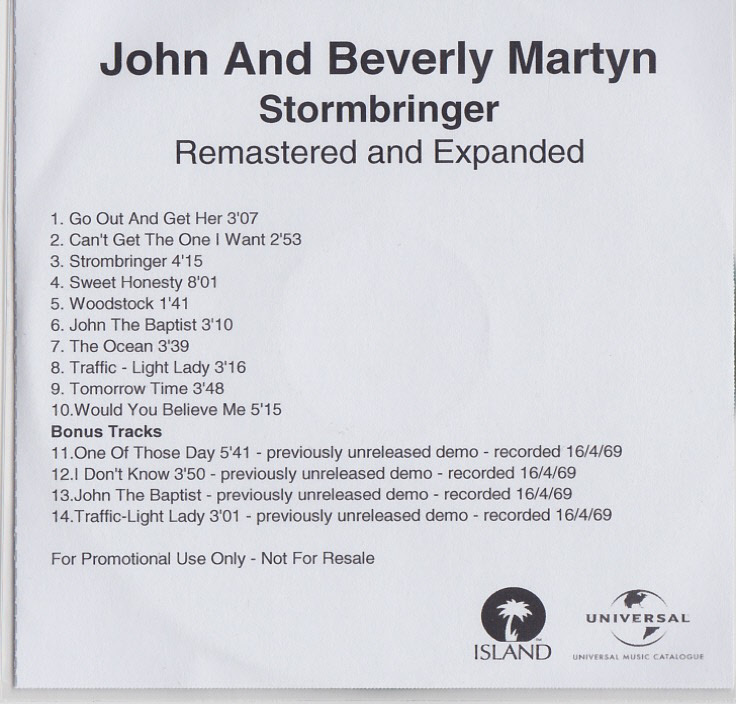 Advance promotional CD for Stormbringer! (Remastered And Expanded). Released around 7 January 2007 in printed plain white record company sleeve. Released around 1 October 2005.